The arrest this month of Philippine journalist Maria Ressa, which experts believe is a retaliatory move for exposing violence-inciting fake accounts on Facebook linked to President Rodrigo Duterte’s administration, raises the question of the company’s culpability for her dangerous predicament. She feared for her safety and that of her colleagues because social media mobs had already silenced other journalists and civic leaders who criticized the extrajudicial killings of drug addicts and dealers that Duterte was promoting. “I gave the data to Facebook because I was hoping they would fix it and then we could do the story,” Ressa said, who added that the executives looked “shocked” at what she told them. Ressa had intended to write a story about Facebook taking down the accounts. But when Facebook did not act, her publication, Rappler, readied a three-part series. 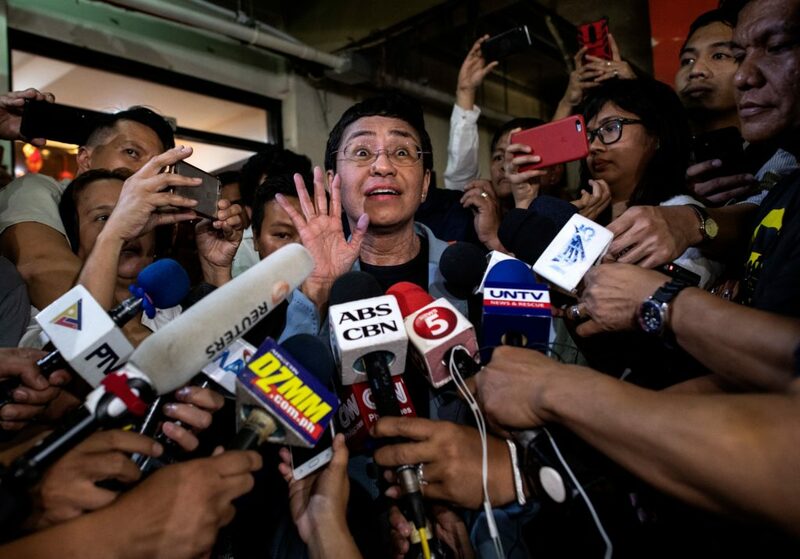 An avalanche of threats and lawsuits followed its publication, culminating in Ressa’s arrest and overnight detention in a cyber libel case against her. She is free on bail awaiting arraignment March 1 and has been forced to increase security for herself and Rappler. “If Facebook had taken action in 2016, I wouldn’t be in this position,” said Ressa. “There is always more to do, and that’s why we have a dedicated team of product, policy and partnerships experts who are focused on helping keep our community in the Philippines safe,” he said. The dedicated team was put in place only last year after widespread criticism of Facebook surfaced following the 2016 U.S. election when Russia was easily able to use the platform for disinformation and to help elect Donald Trump as president. 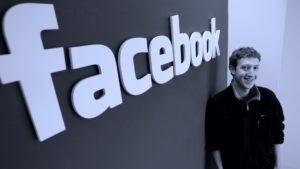 Ressa’s discoveries showed Facebook’s failure to enforce its own policies against fake accounts and calls for violence. Rappler’s series described how “sock puppets,” fake accounts controlled by a network of Duterte supporters, engaged real people online and spread lies, misleading photos and false incidents of rampant crime, to drum up support for Duterte’s hardline anti-drug policies. The accounts called for violence against legislators, civic activists and journalists who spoke up against Duterte’s tactics. Ressa was among them. Ressa did not stop pursuing Facebook executives after the initial 2016 meeting. In a recent interview with FRONTLINE, she described meeting with more than 50 employees, including CEO Mark Zuckerberg, to urge them to stop the systematic abuse taking place on Facebook’s pages. In April, Facebook hired Rappler to become part of its new news verification program, which fact checks on behalf of the social media giant. Ressa said the company is doing a better job than it did before. Neither would discuss the financial arrangement. Rappler staff has been overwhelmed by the volume of false information still flooding the platform. The human rights case against Facebook is growing. Last year, U.N. human rights investigators found it had played a “determining role” in the genocide of Myanmar’s Muslim Rohingya by allowing its platform to be used to incite widespread violence against the minority group. Sri Lankan authorities temporarily banned Facebook last year when calls to kills Muslims circulated freely, inciting riots and killings. Ressa said she had been one of Facebook’s biggest fans back then. She believed its campaign efforts would empower more citizens to take part in the political process. “I thought there was great potential.” She invited Facebook executives on her television show to promote the platform’s use during the presidential campaign. But shortly after Duterte’s election, when he began his draconian anti-drug crusade and massive disinformation campaign, Rappler began investigating. Ressa was already steeped in social network analysis. After the 9/11 terrorist attacks in the United States, as a CNN correspondent, she traced the Al Qaeda terrorist group’s network around the Philippines and across Southeast Asia. Her journalism was sometimes ground-breaking, disclosing connections that authorities were unaware of. Rappler’s October 2016 series offered, in retrospect, a surprisingly accurate blueprint for the Russian disinformation operation already in full bloom in the U.S. presidential campaign and using the similar digital techniques. U.S. disinformation in 2016 was foreign, not domestic, and didn’t call for violence so much as sow social discord.